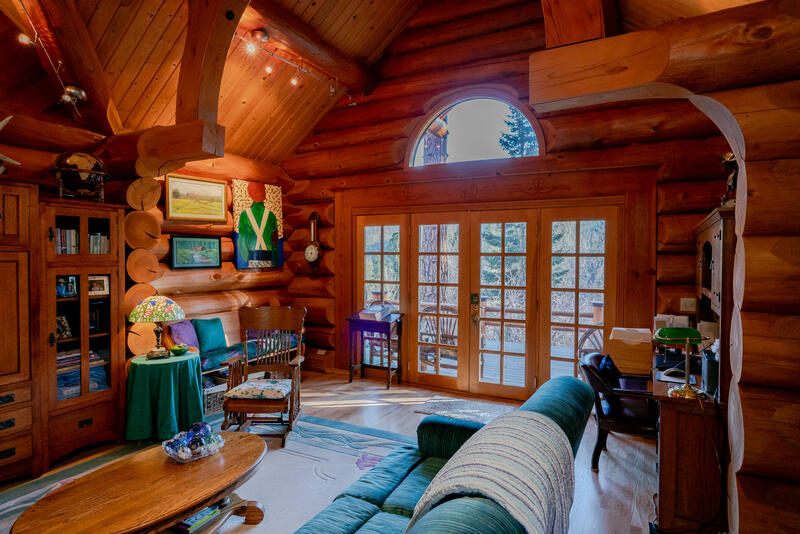 The dream mountain lodge. 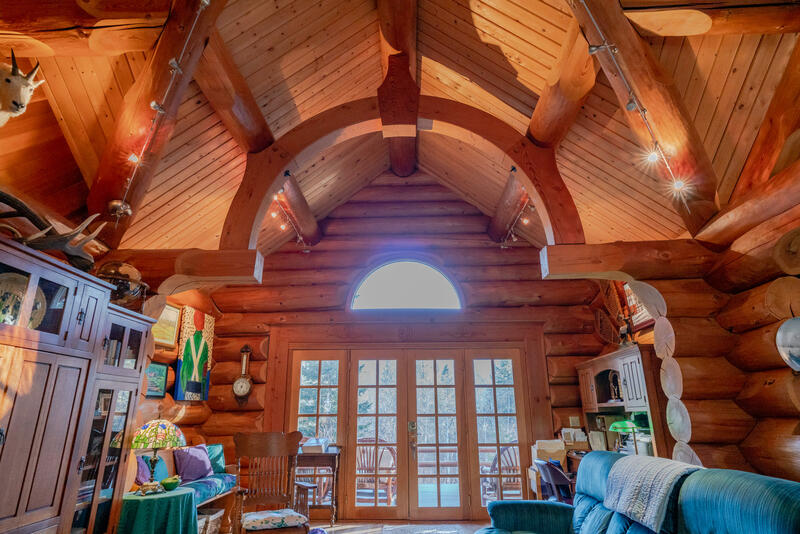 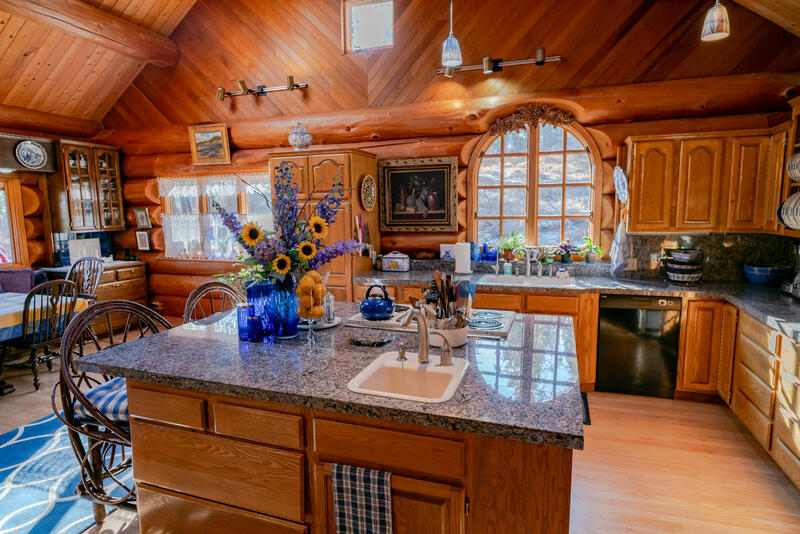 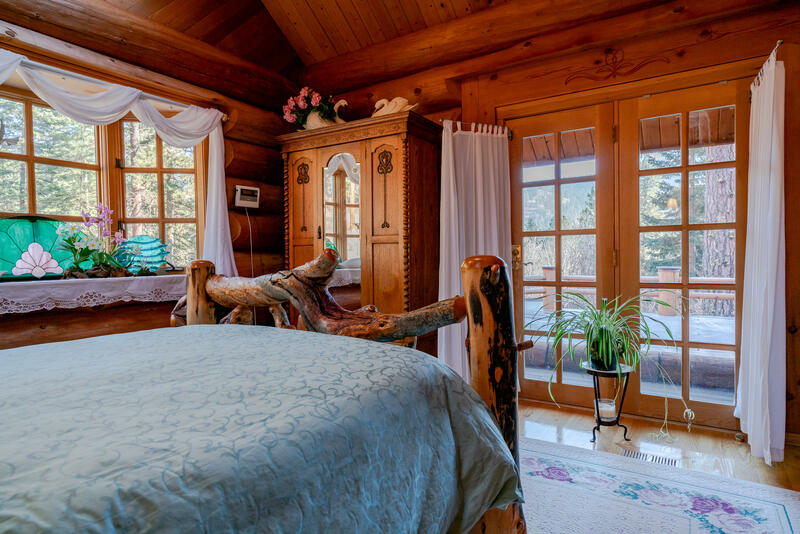 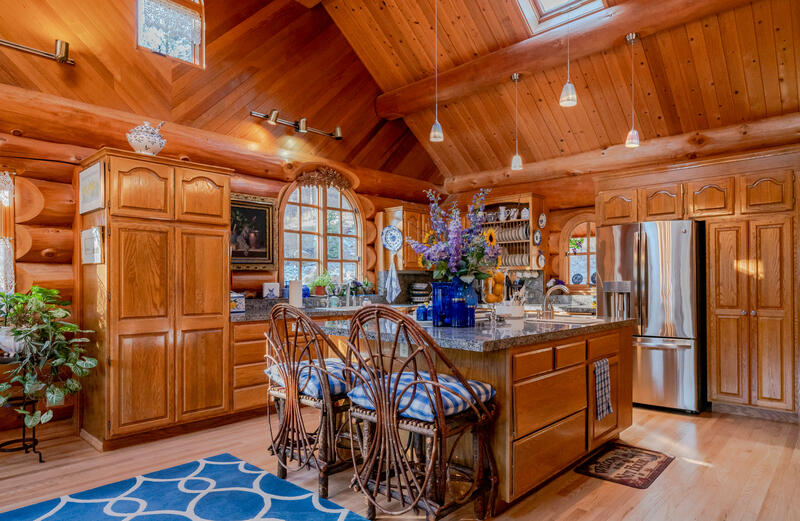 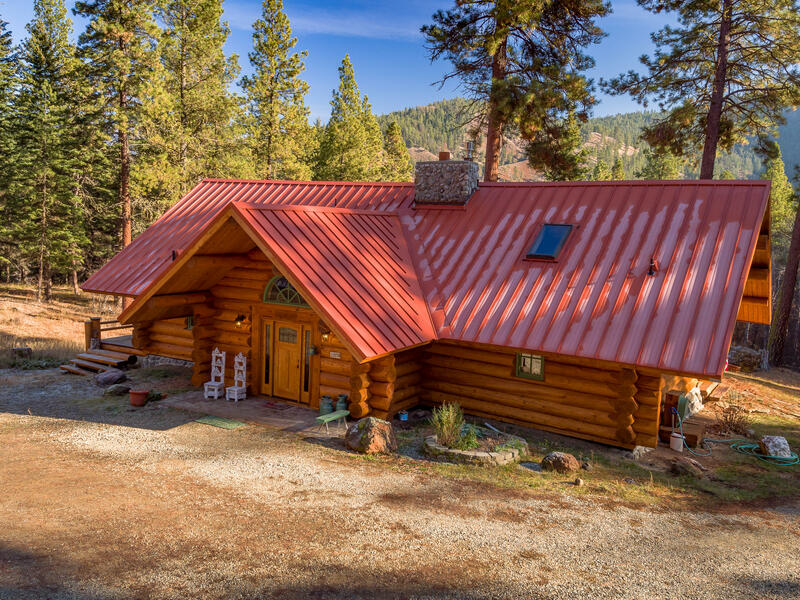 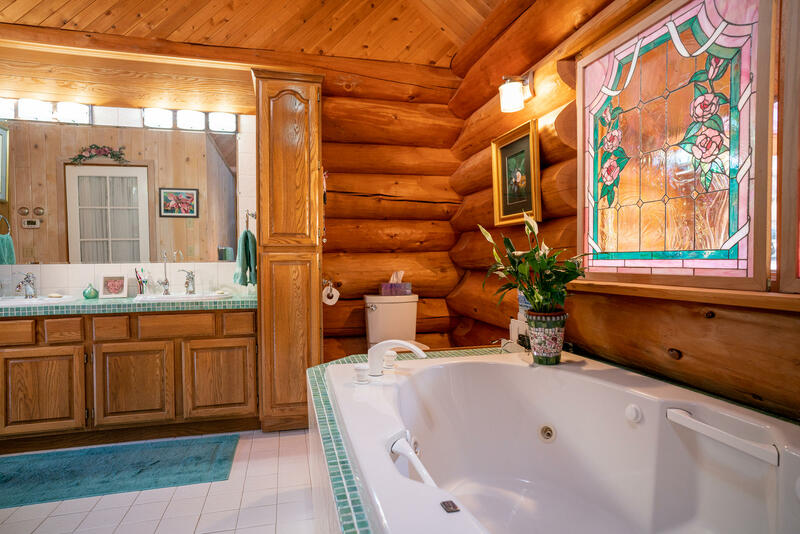 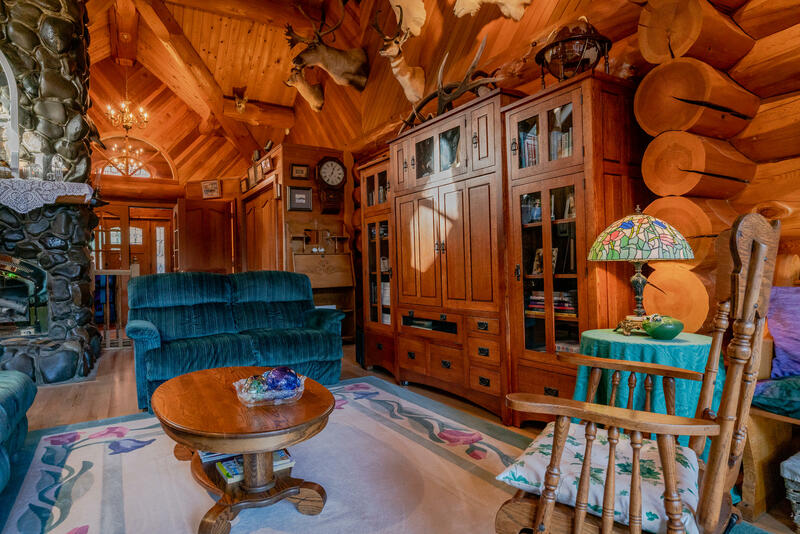 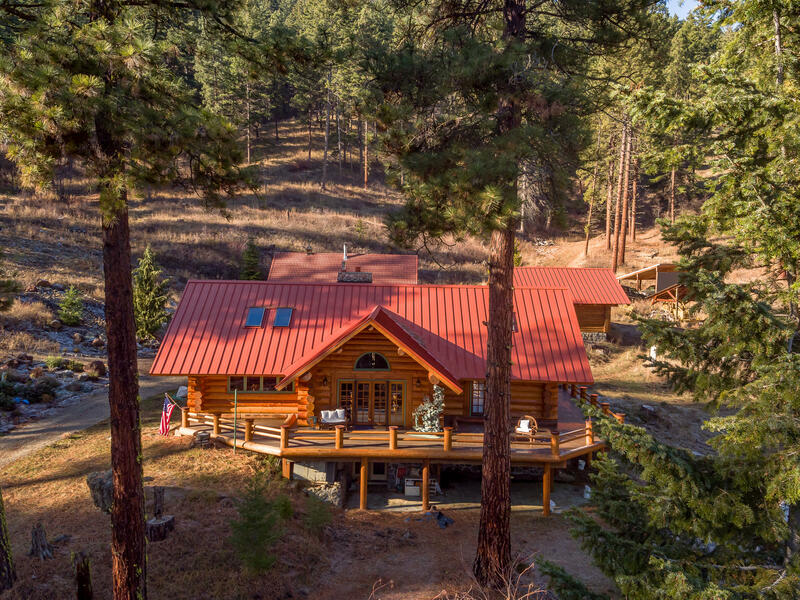 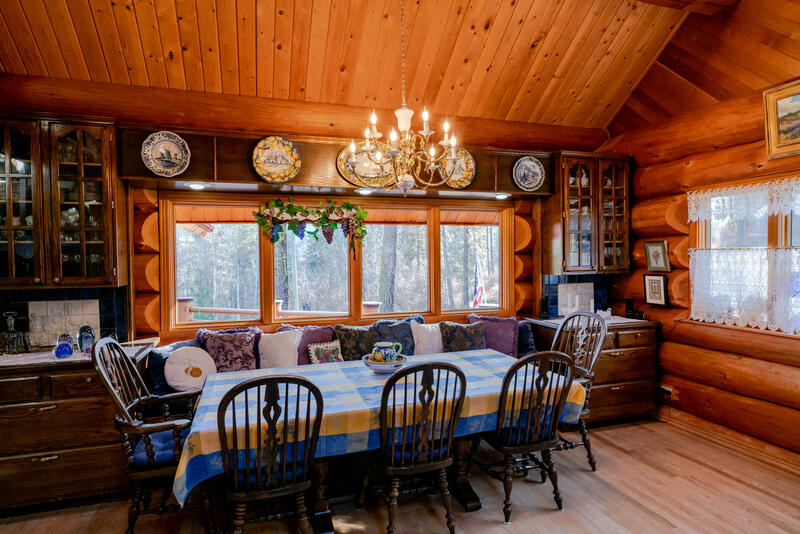 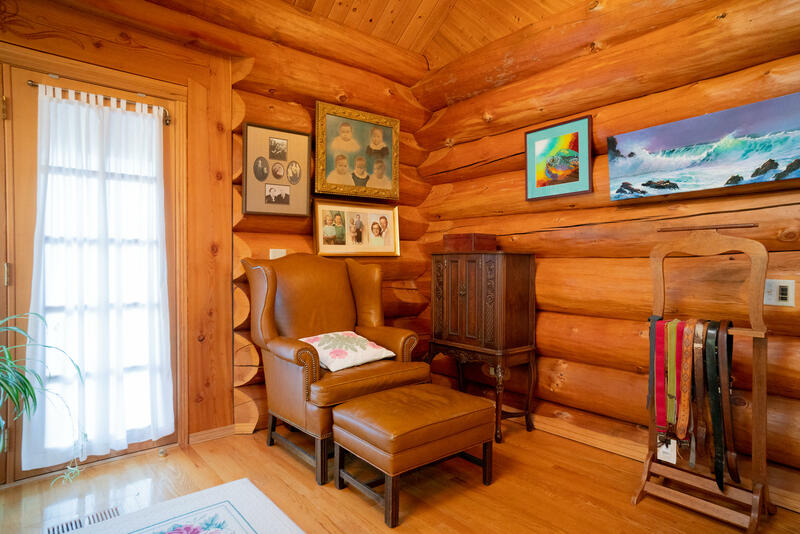 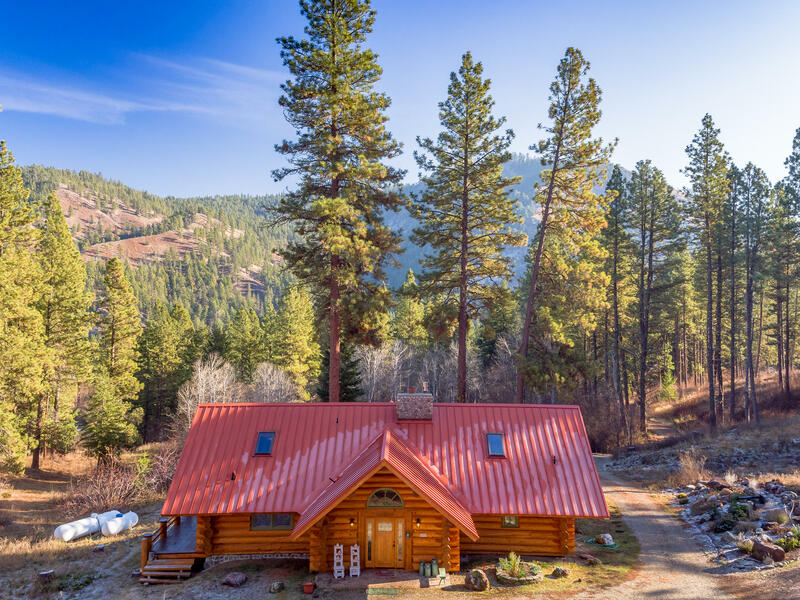 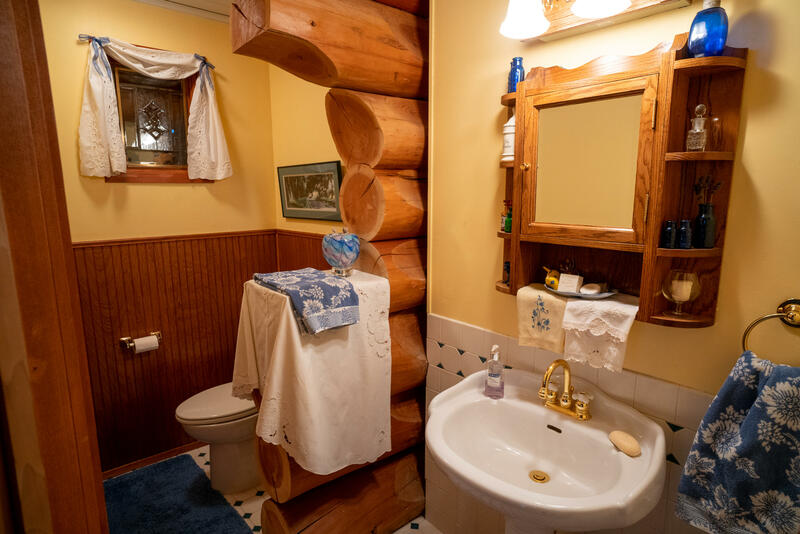 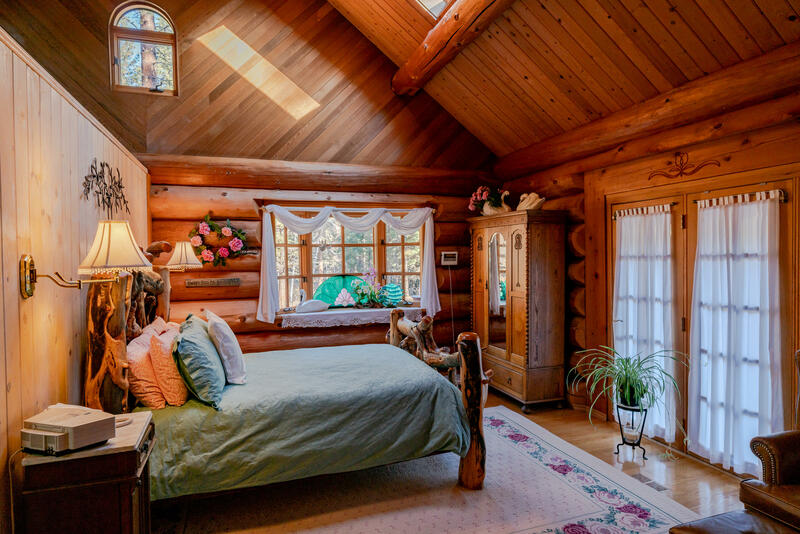 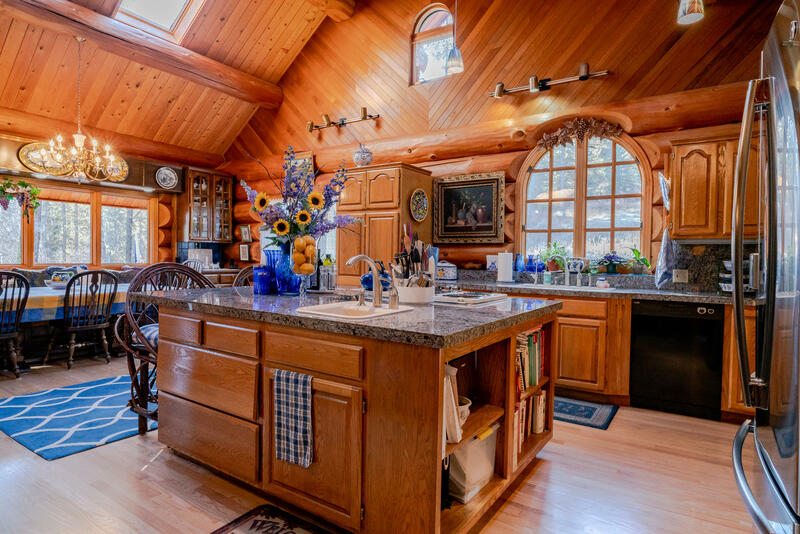 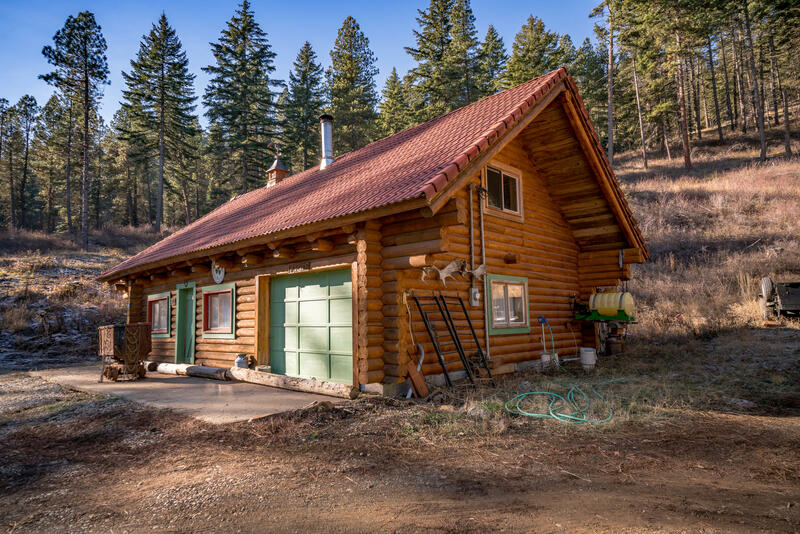 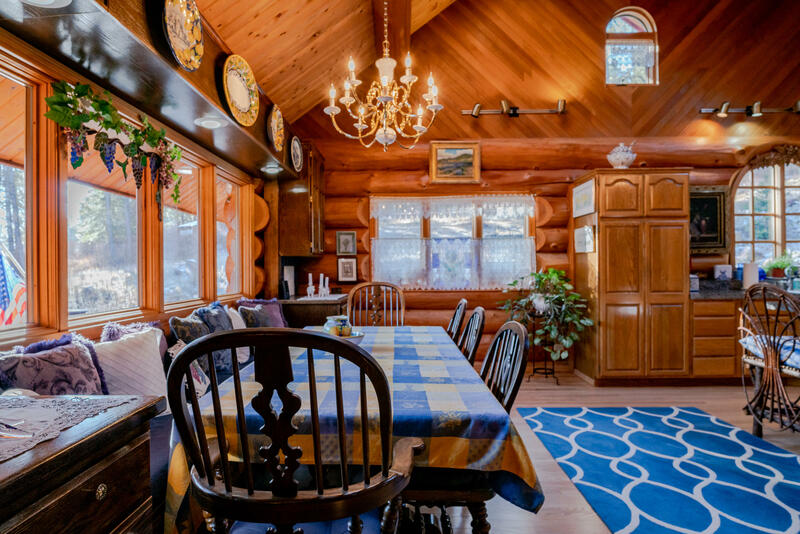 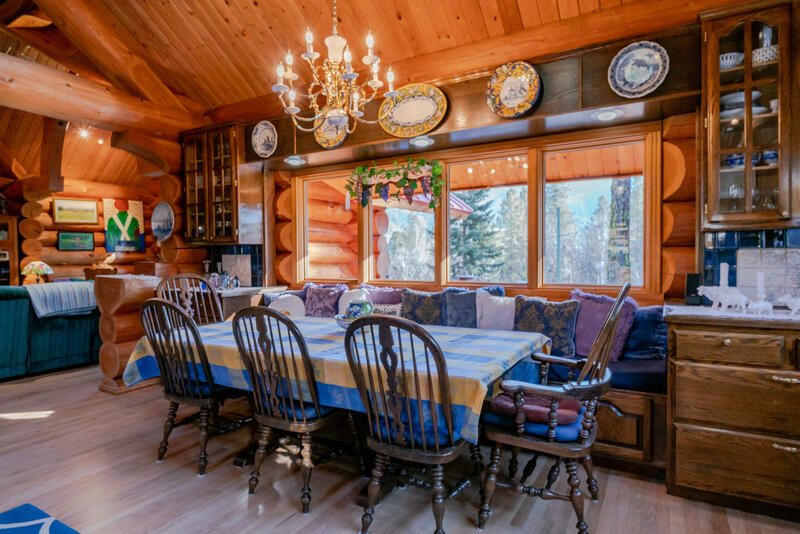 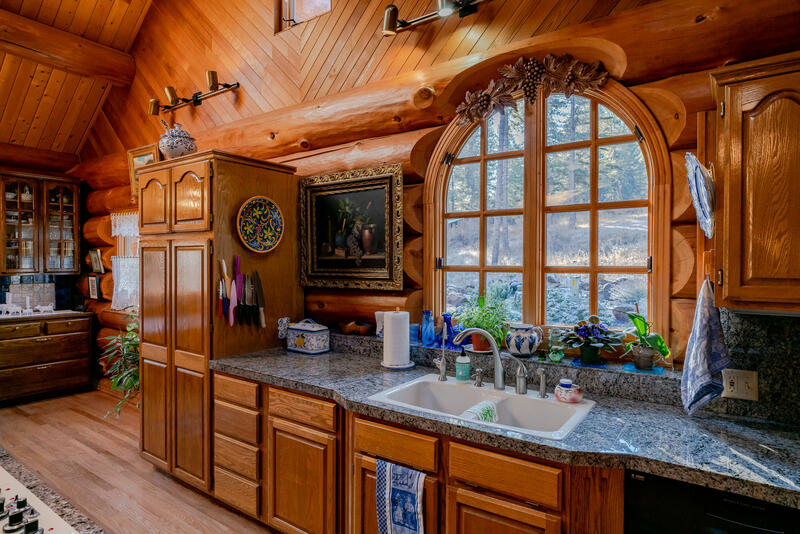 Swedish chinkless-style custom built log home with 17'' avg Douglas Fir log construction. 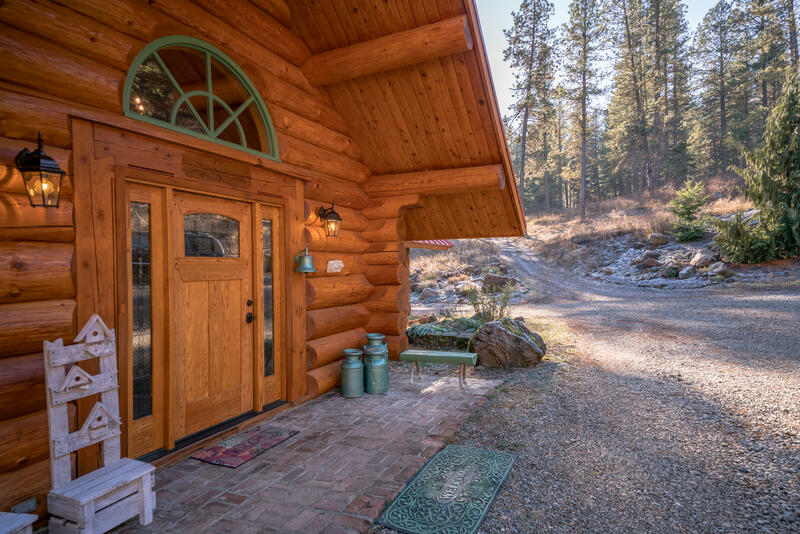 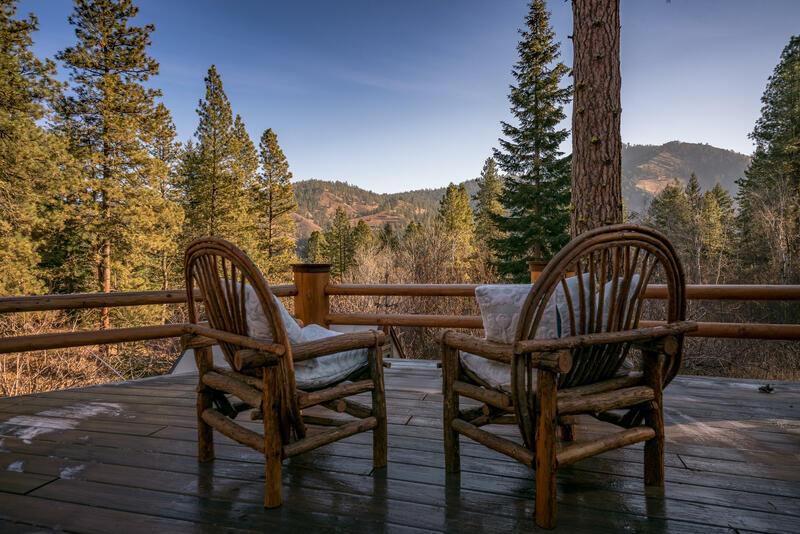 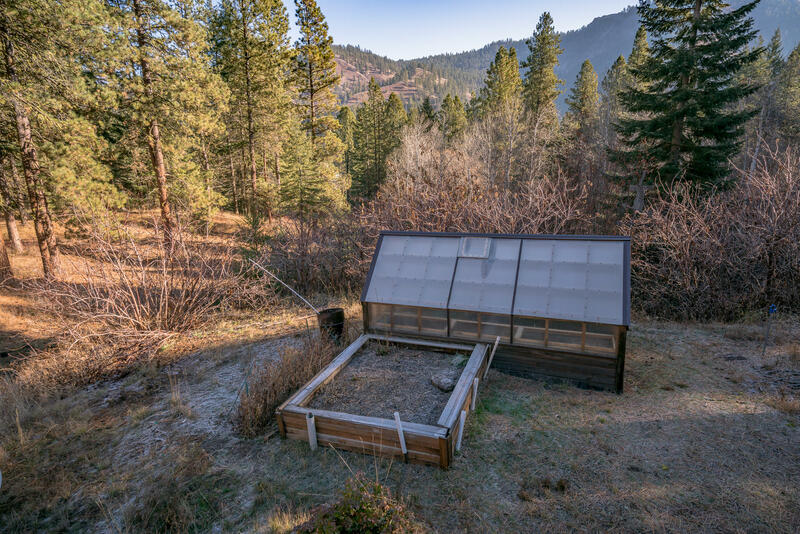 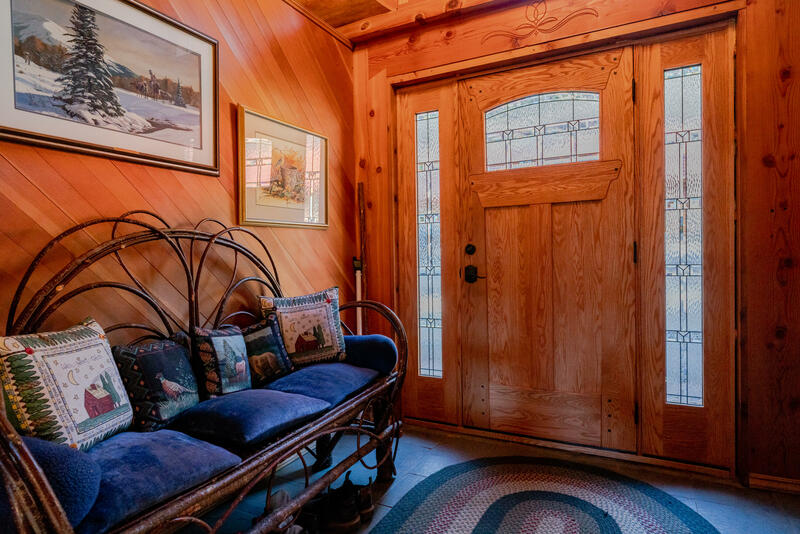 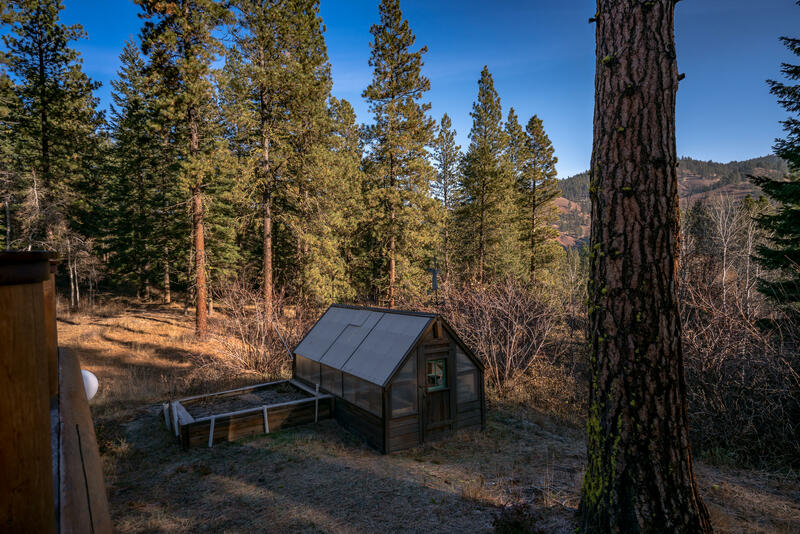 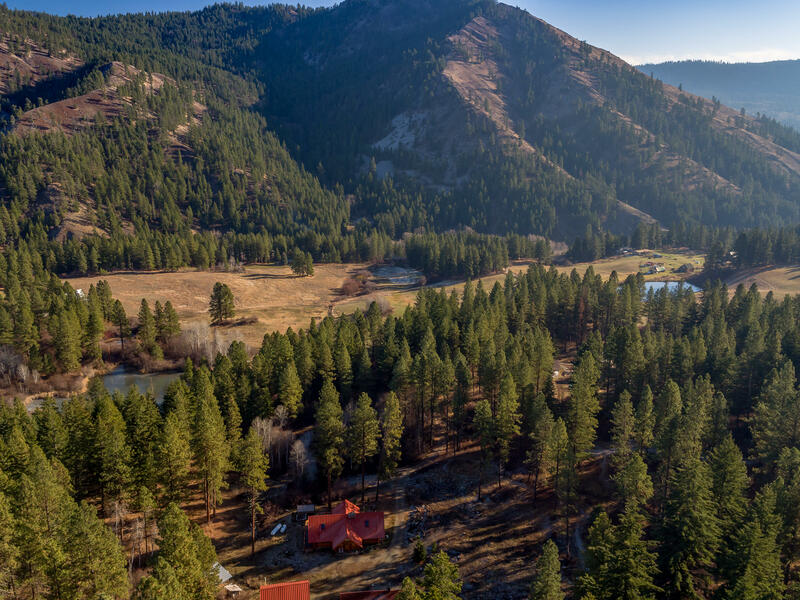 On 25 wooded acres w/ gorgeous mountain views. 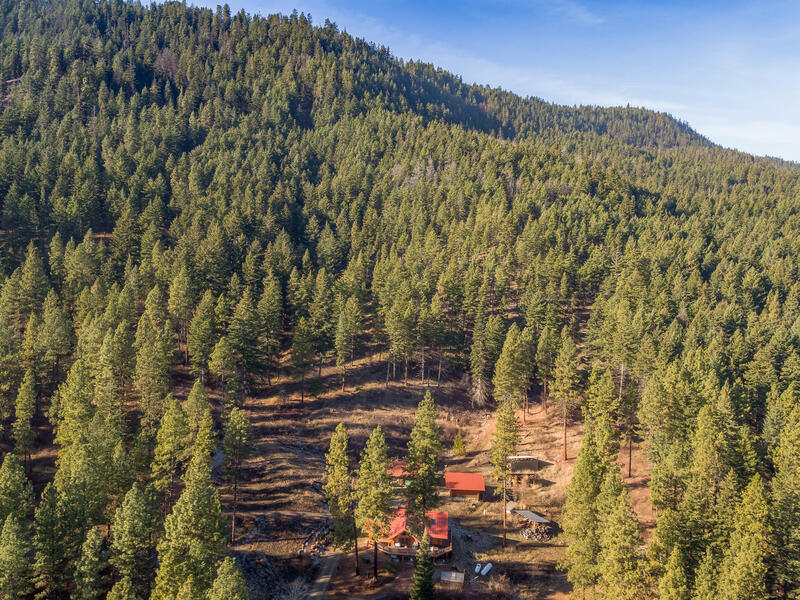 Borders National Forest land. 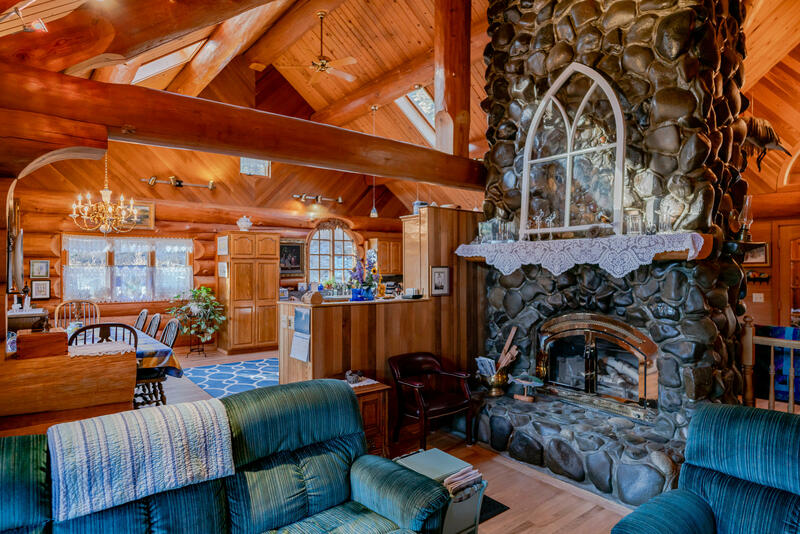 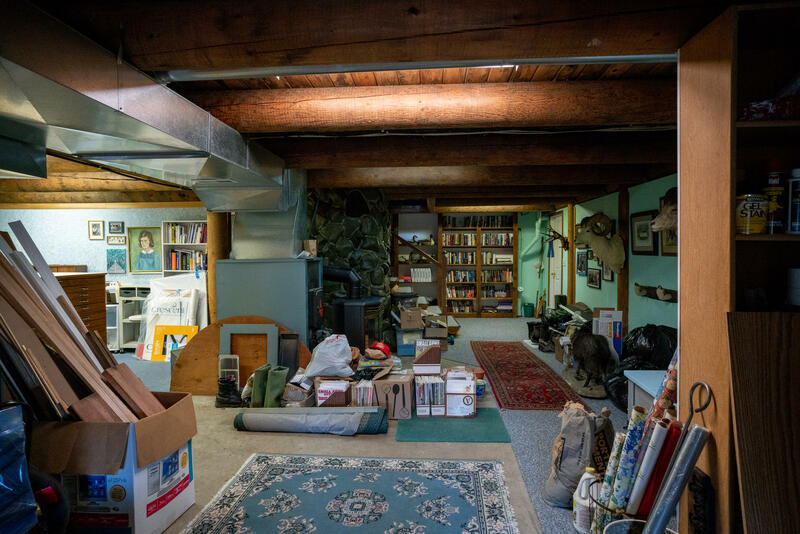 Spacious main home w/ river rock fireplace and hearth. 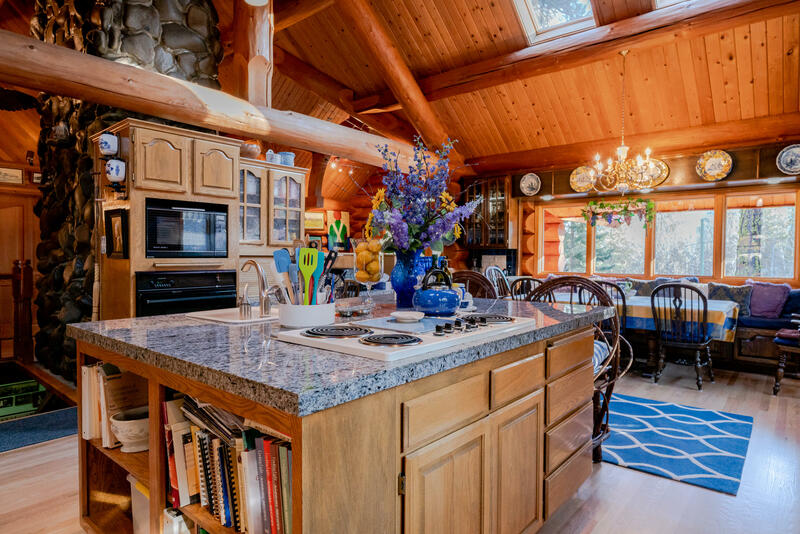 Open concept kitchen w/ large island, granite counter tops, stainless appliances and walk-in pantry w/ reclaimed brick floor and swing-out pantry cupboards. 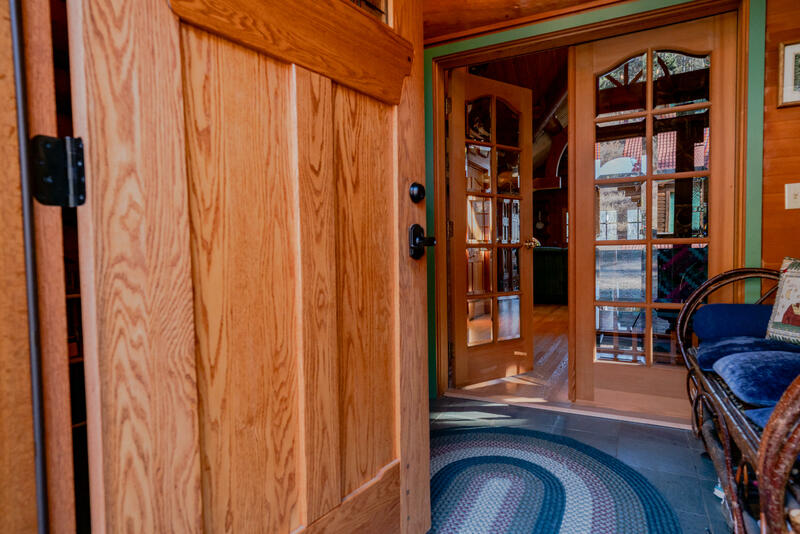 Tile and hardwood flooring throughout. 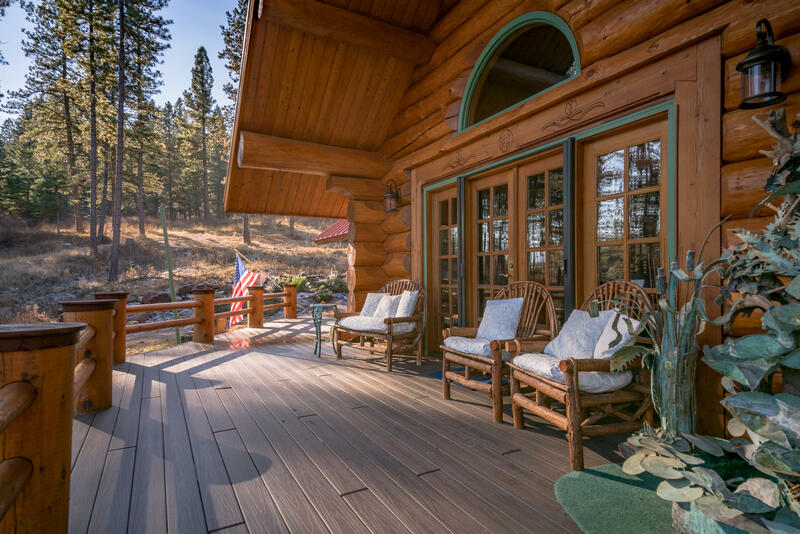 French doors from living room lead out to view deck. 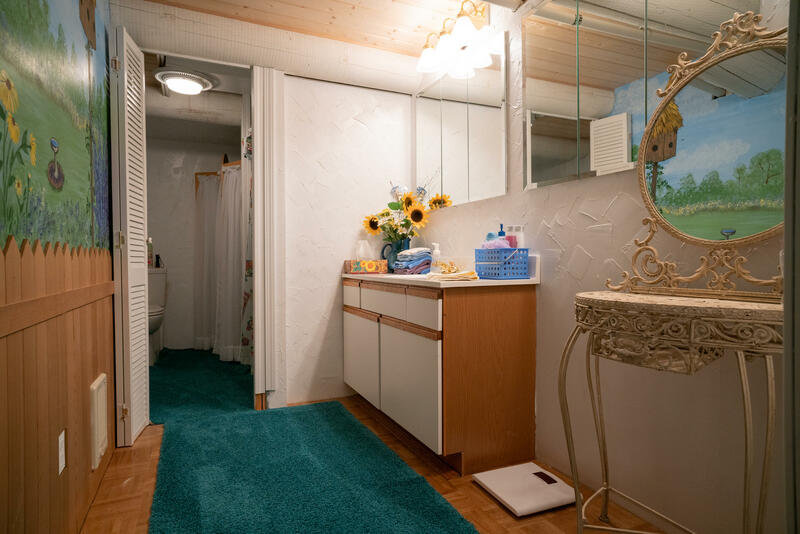 Main floor master suite with walk-in closet, whirlpool tub, mosaic counter top and double vanity. 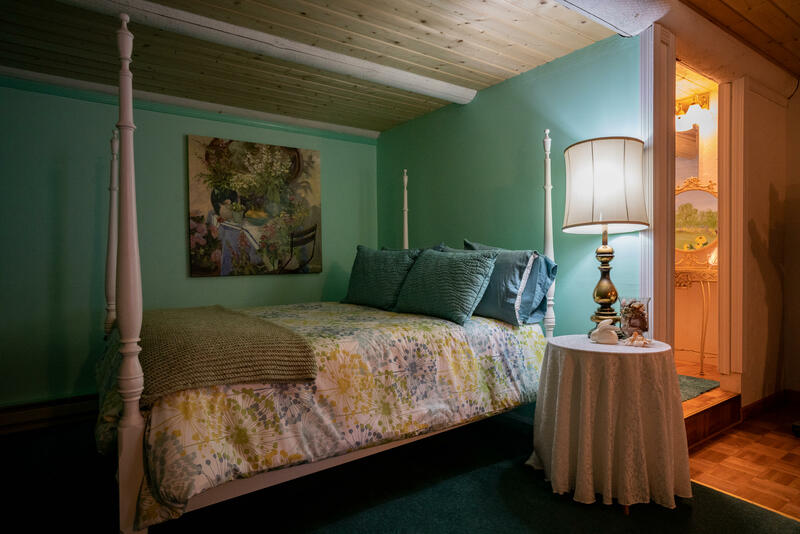 Lower level bedroom w/ private bathroom. 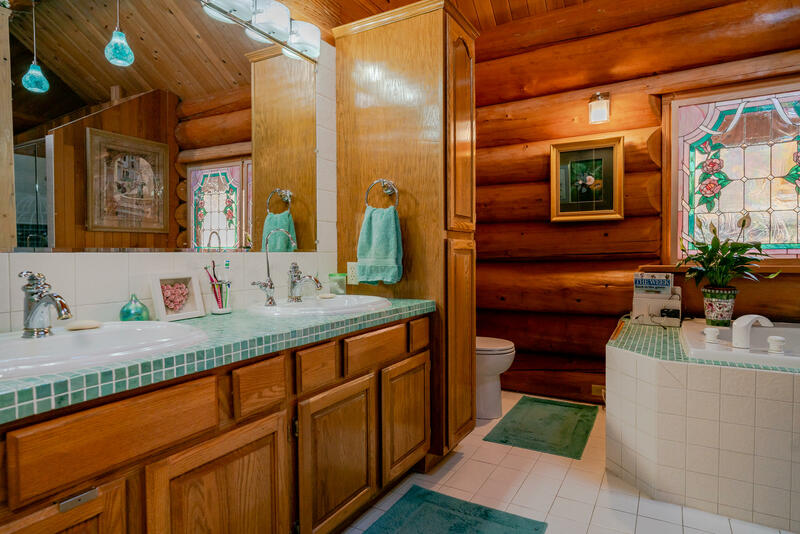 Separate dwelling boasts an additional 1,800 sqft of living space, bathroom and laundry. 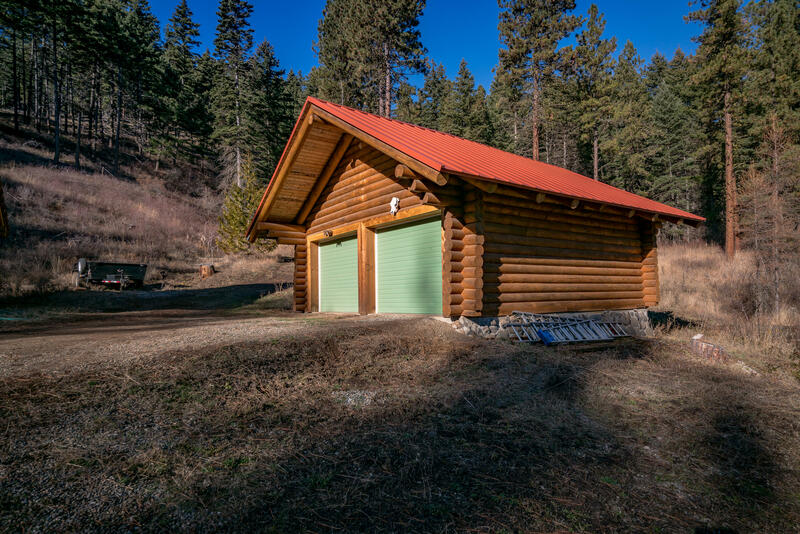 Multiple outbuildings w/ room for 8+ vehicles plus additional storage.